The owner of RED66 Marketing. Yes, the RED comes from her bold hair. And, if you didn’t know, the 66 was her jersey number when she was the first girl to play football at 8 years old. Rebecca has always had a passion for marketing, and building strong relationships with clients – by offering honest input and feedback, and has a firm belief in doing what you say you’re going to do. With a knack for writing just about anything for just about anyone, Chelsea jumped on board with pen in hand. She writes for both RED66 and many of our clients specializing in blog posts and SEO web copy. She’s a freelance writer by trade, current resident of Seattle, WA, and Michigander at heart. Chelsea manages several client accounts and all things content related. Allison is a recent graduate of DePauw University in Greencastle, Indiana. She’ll confess that she’s working on being a “brand new adult” and is doing pretty great at it if you ask us. Allison started with us from the beginning and is now one of our talented project managers. 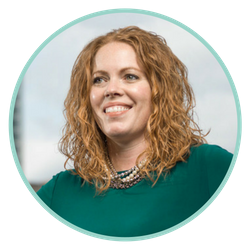 With her background in creative writing and marketing, Allison supports our clients with content calendars, writing blog articles, email marketing, social media and so much more – that includes all of the editing and random requests when we ask. A recent graduate of Indiana State University, Raeann has her degree in PR & Communications. 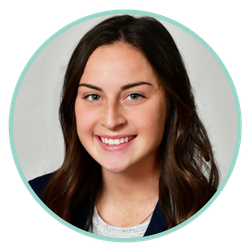 In her last year at ISU, Raeann jumped in as a summer associate and intern helping with special projects, and leading PR efforts for one of our clients. She has had several articles published and a radio interview based on her work. 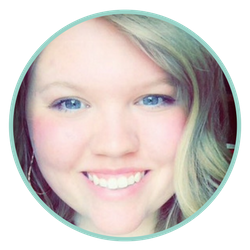 Now our project coordinator, you can find Raeann creating social media content, press releases, blogs, email messages and so much more. Natalie is a senior at Indiana State University, studying Communication with a concentration in PR and a minor in Spanish. She interned in the marketing and communication department at the 500 Festival in the spring of 2018. Her role there was concentrated in the public and media relations and digital marketing efforts. Natalie’s most cherished experience was writing the script for the 500 Festival’s nationally televised parade and assisting with its live production! Natalie is back in Terre Haute working as a marketing associate for RED66. Simply put, she loves learning, helping and seeing clients reach their potential through marketing! We work with a diverse set of clients across a variety of industries. This includes global manufacturers to local restaurants and small businesses to nonprofit organizations. Our immediate team is small and mighty and is made even stronger with key partners in specialty areas like digital analytics, SEO Strategies, pay per click management, graphic design, videography and photography and more. With so many marketing channels and communications specialties, no one agency or firm can have all services in-house. It takes strong partnerships and relationships to bring the highest level of talent to our clients. We provide you with a single point of contact so you can leave it all to us to take care of all of your marketing and communications efforts. And, if we aren’t able to do it well, we will refer you to someone who can. Here are a few of our long-term partners (and friends)! Want to connect and learn more about what our team can do for you? Please contact us today.